You just got a work at home job, and as tempting as it might seem, you know that working from your couch or your bed is probably not going to set you up for professional success. 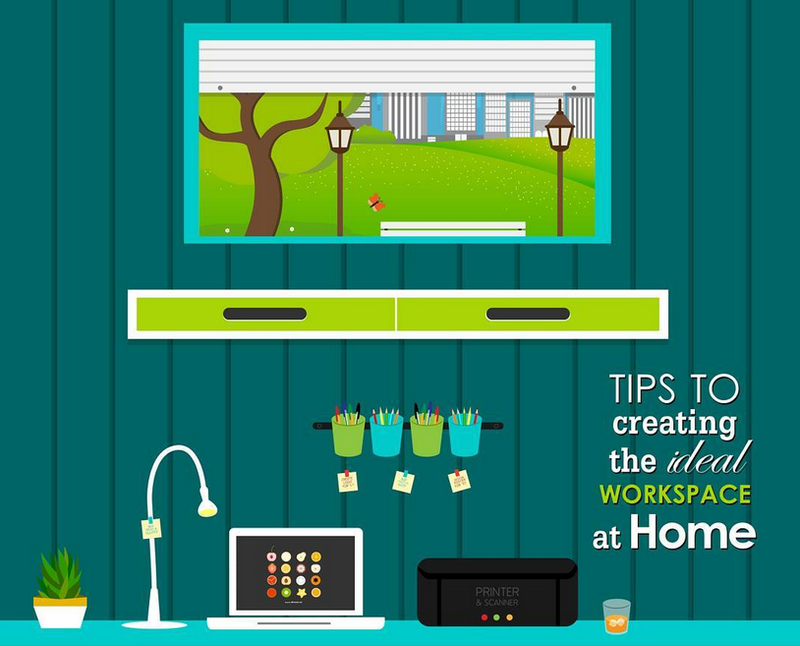 Your own dedicated home workspace can help set the tone for how you approach your job each day. Whether it’s a small dedicated space in your living room, the attic, basement or even that extra room you never use, taking time to create an ideal environment to perform your work at home will translate into professional results. Identifying the right space to work from is crucial and you want to be sure that it is a good fit with your work requirements. When working at home, a quiet space is likely best, along with a good lighting source. Locating your workspace near a window will allow to benefit from natural sunlight and a view of the outdoors, which can also boost your motivation. Next, think about how to decorate the space with colors and accessories that will keep you energized and on task. Think about what kind of work environment will suit your professional style and personality. Will you do best in a minimalist space, with only your computer and a few office supplies? Or will framed pictures of past vacations and loved ones inspire you to perform at your best? Did you know that the color you choose for your office can affect your productivity? Studies have shown that blue, yellow and green can all support your level of energy and ability to stay on task. Whatever you choose, maximize your organizational skills, using shelving or cabinets as necessary to keep your area tidy and make it simple to quickly find what you need. Let your family know that this is your workspace, not theirs. Communicate clearly regarding your expectations for privacy and make sure to inform them that they need to respect that space. Also, know that part of the work at home experience is the freedom to draft your own rulebook of do’s and don’ts so be sure to create realistic guidelines for yourself and your family that will maximize your effectiveness and ensure harmony at home. Being close to your TV, couch or bed can very be tempting for a lot of people and we suggest trying to choose a space far from any communal areas or the living room sofa. This will allow you to focus more of your energy on working and avoiding distractions. Besides you can always do that on your breaks. A good pair of noise cancelling headphones can be very helpful too. Is your company doing all it can to increase productivity and ensure employee retention? If at least part of your employee team is not currently working from home then the answer to that question is no – but that is easy to remedy. Working at home is simpler that we think and is quickly becoming a trend that many companies have turned mainstream. According to a recent Gallup survey, telecommuting for work has climbed to 37% of all workers, up from last decade’s 30%. The reason for this increase is simple – there are too many benefits to keep ignoring, and the upside is even better for employers. Other surveys, including one from PGI, have shown that employees who are offered the option to work at home are 70% more productive, really appreciate working with flexible schedules because it allows them to balance their work and life. Further, 82% of them experienced lower stress levels, therefore improving their satisfaction and we all know that job satisfaction = job loyalty. Working at home is rising at a very high rate because even small companies are enjoying faster growth due to the reduced costs, the less days missed by their staff and the higher levels of employee retention. 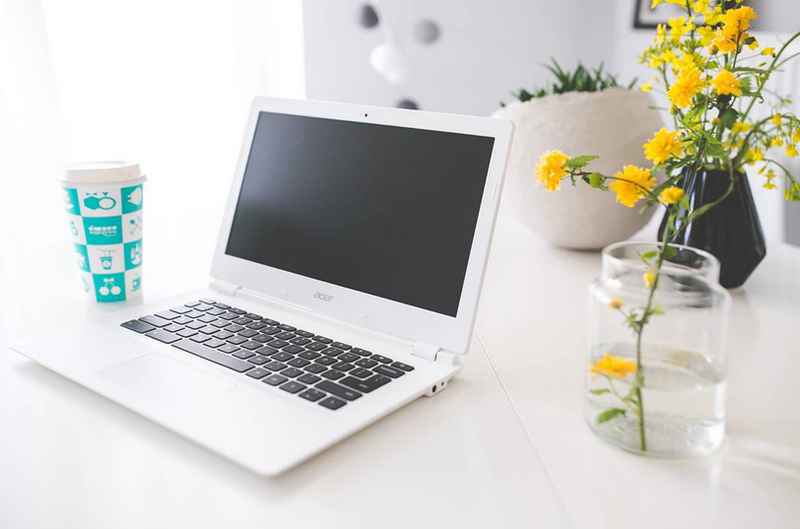 Working from home can boost employee happiness – check out this ZDNet study that showed that 73% of workers who telecommute are happy in their jobs. Employee turnover costs time and productivity for companies and studies have shown that having your employees work remotely has great results in improving employee retention, as demonstrated in this article from the Harvard Business Review. And no matter where your employees do their jobs, keep in mind that good communication, opportunities for future growth and clearly communicated expectations will help ensure a satisfied and motivated team. If you want to learn more about becoming a Work at Home Certified Company, or to share your experience with working at home, visit www.wahspace.com. 1. Save Money – you’ll save on car wear and tear, parking, dry-cleaning, child care, and other daily expenses. 2. Save Time – spend less time preparing to go to the office or doing the actual commute. 3. Avoid Traffic – there’s no rush hour to deal with when your home is your office. 4. More Flexibility – you can work wherever and whenever wearing comfortable clothes. 5. Enhance your Productivity – studies have shown that employees that work from home are more productive. 6. Balance your Work/Life – who doesn’t want to spend more time with their family while still growing professionally? 7. Save Gas – savings of up to more that $1,200 on gas every year. 8. Have Less Distractions – no more unimportant meetings and unnecessary interruptions. 9. Be More Environmentally Friendly – reducing commuter traffic cuts back on air pollution from emissions and decreases oil consumption, therefore aiding the environment. 10.Enjoy a Quieter Atmosphere – enjoy the freedom to design your workspace with the peace and quiet that is very hard to find in many traditional office settings. Would you like to enjoy these kind of benefits in your professional life? Join WAHspace now to find out more! 1. Reduced Costs – save on office space, facilities, equipment, and other expenses. 2. Less Stressful Environment for Employees – workplace stress takes up to $190 billion in health care expenses and can lead to over 120,000 deaths per year. 3. Less Days Missed – employees that work from home work more days because they have less sick-time, days missed, and delays. 4. Increased Staff Motivation – studies have revealed that employees that work from home are happier. 5. Employees with Healthier Habits – people who work from home have an easier time eating healthy and striking a manageable work-life balance. 6. Employee Retention Upside – fewer employees resign when they work at home. 7. Wider Field of Possible Applicants – much broader options of applicants, including the ability to target special applicant pools like veterans or people with disabilities. 8. More Productivity Gains – with fewer distractions, there’s room for more productivity, therefore more work done and efficiency. 9. Ability to Locate Staff Near the Clients – locating your sales staff near clients with the same time zone can lead to greater revenues generated. 10.Hire the Best – hire the best of the best, without geographical limitations. Would you like your company to take advantage of these kind of benefits? To find out about how to become a WAH Certified Company – and more – just visit www.wahspace.com. There are days when you definitely feel stuck and everything seems to be going from bad to worse. We’ve all been there, but studies have shown that successful people usually focus on achievements rather than simply looking to avoid failure. Motivated people can find great satisfaction when they overcome difficult tasks. So stop avoiding failure and living in fear of making mistakes. Mistakes are simply lessons to be learned. When you get stuck on a challenging problem or situation, reframe it as an opportunity to thrive. When we are working, we are usually moving towards achieving a specific goal. Whether it is a personal or a professional one, stay focused and remember that it’s all about action, whatever you do that drives you closer to where you really want to be. Remind yourself of how lucky you are, getting to work from home, closer to your family and avoiding so many things that create headaches for a lot of people. It’s always a good idea to have either pictures of your family, your goals or things that inspire you for you to look at them easily whenever you need a friendly reminder of what you are working for. During any given workday a lot can happen. Sometimes we can get overwhelmed by situations that are out of our control and that is where breaks can be quite useful. Taking a 5 minute walk, grabbing a cup of coffee or eating a snack can do wonders for your overall productivity. Once you do something relaxing you can come back to the task at hand with a clear head and rededicate yourself to completing what’s in front of you. It’s not rocket science people! By taking these 3 easy steps you can go a long way on achieving your daily, weekly or even yearly goals. Find out more at WAHspace.com – free to join now! Although most of us usually start the year with a renewed sense of determination, many times the plans we set out at the beginning of the year are forgotten after the first couple of weeks. We need to really push ourselves to thrive and make those goals count, especially if you work from home. You need to have clear and grounded goals. When you work at home, you may come up with a lot of excuses on why you’re not getting to where you want to be. It helps if you write down your short and long term goals, elaborate upon strategies on how to achieve them, and keep track of your progress. Try to keep these goals in mind every day, one day at a time, and recommit if you get off track. Working at home can be challenging and those goals should be oriented to enhancing your overall quality of life. By maximizing your time, setting schedules and really sticking to them, and working hard, you greatly improve your chances of success. As you envision yourself achieving the results you desire, you create a sense of fulfilment to motivate you. At the end of the year, most people tend to be careless about their health, exercise less and eat less healthy food. Just because you work at home, doesn’t mean you should disregard your diet. Having the right kind of nutrition on your daily routine will help you not only be healthier but also have more energy throughout the entire day so you can comply in your everyday chores and feel better all the time. Enjoy the last week of 2015 and the cusp of a new year. Take advantage of this time of year to you review the past twelve months, what you accomplished and what you did not. And use this time to set your goals for 2016. Although working at home can have a great deal of benefits and may seem like a dream job for many people, it also comes with its fair share of challenges to face. 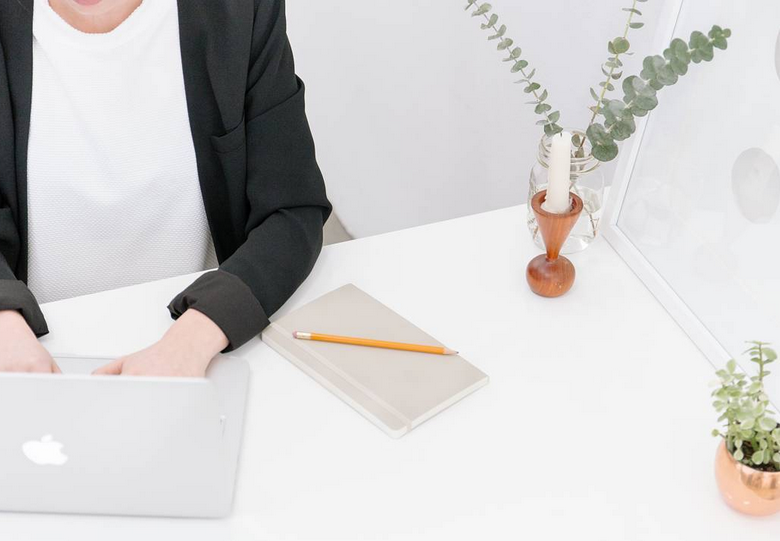 Between balancing your work from your personal life to trying to stay productive and positive, we’re about to share 3 of the best tips that can help you achieve success when working from home. When you are working at home you need to have discipline in order to setting a specific routine and avoid distractions like TV or your mobile phone. Working around your children’s school schedule is a great example and try to always build in breaks so you can clear your head, grab a cup of coffee, eat a snack or just take a walk. Sticking to your schedule can provide great results as you’ll have time to balance the work load and keep yourself stress free. When we’re at home, we’re usually tempted to be on the couch or on bed most of the time, but in order for you to stay productive and comfortable you need a dedicated space in your home where you know you’re going to get work done. It helps if you have some background music to pump up your day, trying to always keep it organized (remember it’s your home) and having the right equipment to complete all your tasks. Just because we’re working from home doesn’t mean you should wear your pajamas all day, getting dressed for work is one of the steps that can motivate you in the early parts of the day. Once you’re done for the day, try to have a post-work routine: changing into non-work clothes is recommended, after a good warm shower, which always helps you relax and soothes until the next phase of your day comes in. There’s always time for everything as long as you stay organized, if you are focused and disciplined, there’s no reason for you to miss out on any work, house chores or much less family time. We're living in a time where we measure and monitor everything. We measure how many hours a week we work, we monitor our calories, how many miles we run, how much we spend, we try to come up with cost-effective ideas that helps us save money, while very few of us really measure or monitor what's truly important in life, which is time. Spending "time" on the things that matter the most to us is something that we keep visualizing further and further away due to the hectic schedule and fast paced life that we usually submit ourselves to, but all of this can be simpler thanks to the huge development of the work at home community and thousands of people have already experienced the shift. Not only could you avoid commuting and traffic but you could save money on gas, parking, dry-cleaning bills, just to name a few, while working in a personalized environment where you can work as comfortable as you'd like, be more productive and stress-free, but most of all have the flexibility that you've always wanted to really spend that quality time on the things and the people that matter to you most. Many Fortune 500 companies are currently hiring work at home employees at an accelerated rate in lots of fields like customer care, tech support, blogging, marketing and many more, with great packages that have proven to be really profitable for both ends. Nevertheless these kind of companies and jobs are not always so easy to find. WAHspace is the world's largest work at home community and can help you get certified to be a true top contender in a truly competitive field with the necessary training and much needed exposure. So what are you waiting for? Join now, get WAH certified and become one of our successful testimonials right now! When setting up your personal work at home office, you need the best equipment to get started and also to meet all companies requirements. Companies hiring for virtual agents have different requirements for office equipment. As a general guide, these are some of the technical requirements that may be expected for a home-based agent. Virus and spyware protection and a working firewall. Software programs that may be required includes Microsoft Office, WinZip and/or Adobe Acrobat reader. Broadband Internet connection . DSL and cable are usually allowed but satellite, dial-up and wireless Internet connections are usually not. A wireless network inside the home is sometimes allowed. Land line phone services. Cell, VOIP and cable phones are usually not acceptable. Many companies require that this be a dedicated phone line separated from your home phone. Calling features on the phone line, such as call waiting, call blocking and voicemail, are often not allowed or must be disabled. Scams have always been a problem for those wishing they'd work from home. Those looking for part-time or full-time employment on the internet often encounter work at home scams. Most scams often sound the same, promising to make you rich quick and and informing you how fast and easy it is. The ads never address that you may have to come out of pocket to fulfill the terms of the assignment - buying supplies, making copies of documents, placing ads. They also don't tell you that some of your hours might be unpaid. When searching legitimate work at home jobs, promoters should tell you upfront in writing what exactly you are going to do and what the program is about, before you commit to investing any money in the business. It is important to either verify the information with a current or former employee or visiting them in person. Sometimes the references that the promoter might be using are going along with the scam, these are people that are getting paid to lie about their experience with the program. When working from home, many people imagine lounging around in their pajamas all day and sleeping till noon. But what some people fail to realize is that even though working from home allows you plenty of flexibility, it is still a professional job that should be taken seriously. To stay on track, without working too much or too little, organization is key! Create specific "office hours" and to-do lists. Make sure that during these office hours, all home-related chores and distractions remain for only after office hours. It is important to make sure you have all the up to date software and programs and the right equipment to run your business, including a speedy computer, printer, fax and a reliable backup system for starters. The key to saving time and money on equipment is to know what exactly you need and don't need and where to find technical support. Since the majority of your office work will be done on your computer you will also need to be computer savvy. You should be knowledgeable on everything from updating programs, knowing how to use certain software, and keeping your computer virus-free. You will need to be able to navigate your way around unexpected technical difficulties, so you don't get stuck without internet and get behind on work. When making your schedule, make sure to include a few breaks throughout your day. Even going for a long lunch with a co-worker or two. This will allow you to stretch your legs and take a breather which helps both physically and mentally and it will re-energize you for a more productive work day. If you're working only from home be sure to set up outside meeting vs phone conferences, and if that is not enough, take your laptop to the nearest coffee shop so you can have the best of both worlds. These few tips will help you balance both your personal and business life.